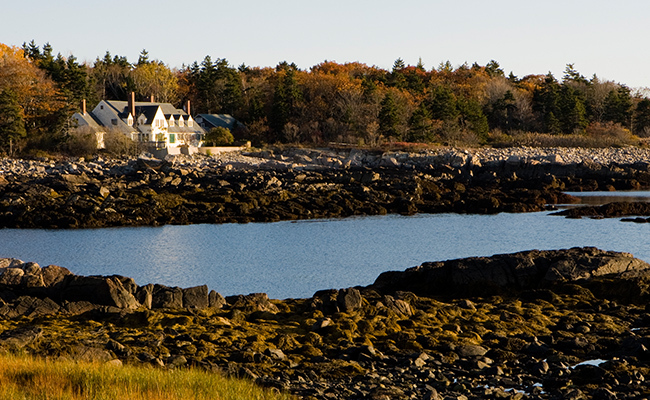 Timber Point was one of the last large, privately owned properties along the 50-mile coastline between Cape Elizabeth and Kittery. Located in Biddeford where the Little River meets the Atlantic, Timber Point includes a 97-acre peninsula and a 13-acre island. Its shoreline offers both rocky oceanfront and a sheltered, sandy cove that are ideal habitat for a wide variety of wildlife, migratory birds, and waterfowl. Generations of visitors to Goose Rocks Beach have long appreciated Timber Point’s scenic backdrop. The Trust for Public Land and its partners, the Kennebunkport Conservation Trust and Friends of Rachel Carson National Wildlife Refuge, met the $2 million private fundraising goal necessary to secure this treasured piece of the Atlantic shoreline as an addition to the refuge. More than 600 individuals contributed to the effort, which drew on support from companies, foundations, and the local Kennebunk and Biddeford Pool land trusts. In December 2011, the property became part of the Rachel Carson National Wildlife Refuge's Little River Division.